Looking for a way to make your meeting stand out? 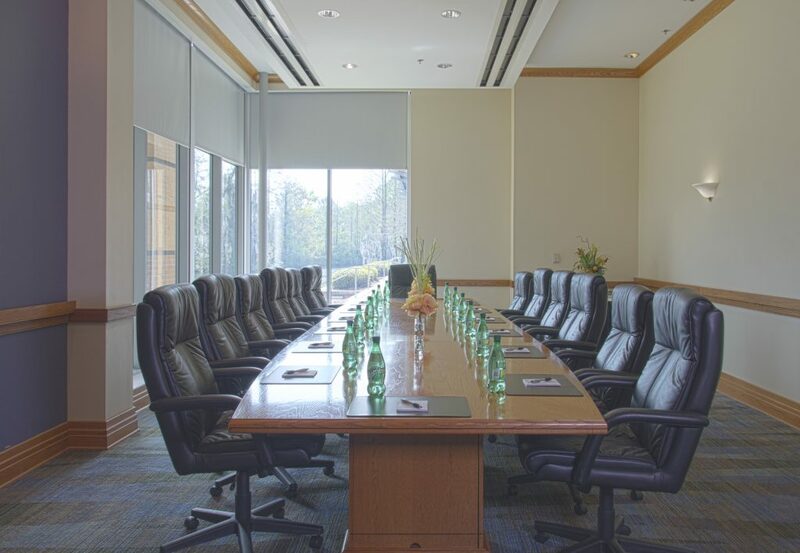 Book space at one of these Top 5 premier meeting venues in the Valdosta area and take the “bored” out of the boardroom. 1.Rainwater Conference Center Located along I-75, the Rainwater Conference Center is easy to get to from anywhere in Georgia or Florida. With nearly 50,000 square feet of meeting space, Rainwater includes seven breakout rooms and two executive boardrooms for more intimate gatherings. Rainwater’s talented team of culinary professionals tempts taste buds with bountiful breakfasts, elegant dinner dining, full bar and beverage breaks, dessert cordials and more. This versatile meeting destination in South Georgia includes a heaping side of southern hospitality and professional services to accommodate your next group event. 2. Cotton Corner Nestled in downtown Valdosta, this historic 120-year-old building has been beautifully renovated. Whether you need to host a wedding celebration, reunion or corporate function, Cotton Corner has the character and amenities you need to make your event a huge success. 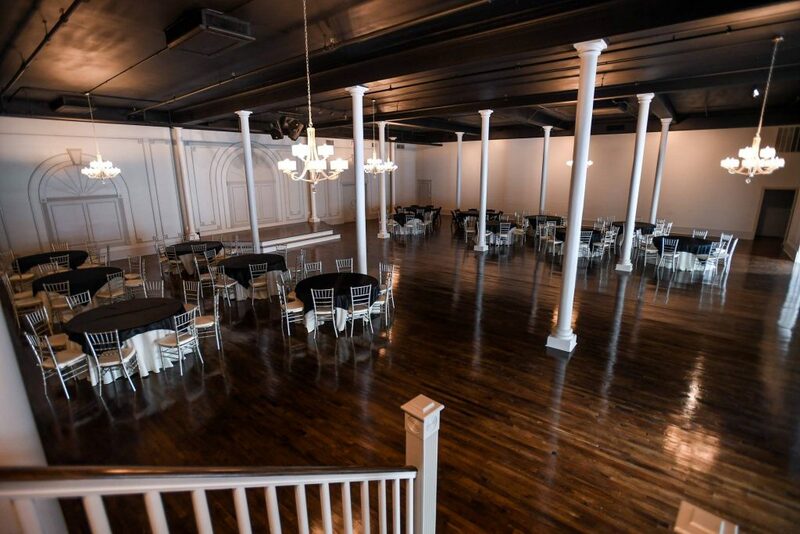 The newly-restored ballroom can accommodate up to 250 guests and there’s a full catering kitchen. Convenient amenities include abundant parking, chic bathrooms, flat screen televisions and hourly prices. 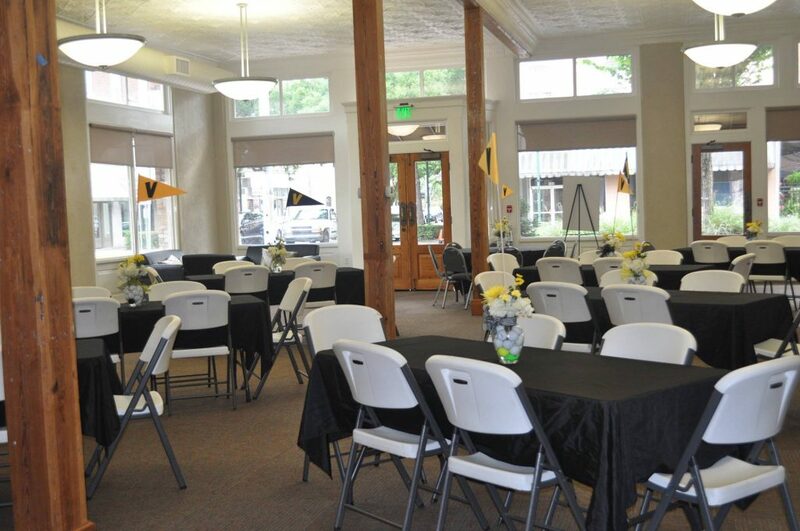 Check out the Cotton Corner for your next event function! 3. 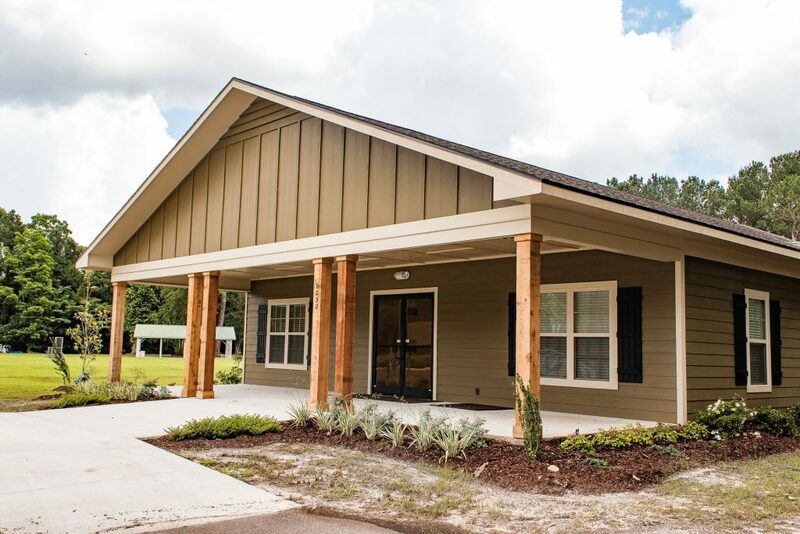 Naylor Community Center Conveniently located off U.S. 84, this brand-new center is perfectly designed with a massive kitchen and pass-through window, 1,200 sq. ft. multi-purpose room and large indoor bathrooms. Rental includes the use of the entire facility, including tables and chairs. Take your meeting to the outdoor pavilion for fresh air and a change of scenery. This center is ideal for small meetings and events with fewer than 100 people. 4. Hahira Train Depot A piece of history is making its way back to Hahira, Lowndes County’s own “Mayberry.” The new train depot is a re-creation of one that was in the town more than 100 years ago. This 7,500 square foot facility contains a vast amount of space for meetings and banquets and can hold up to 125 people. The depot is the centerpiece of City Center Park, a place for concerts, festivals and celebrations and features a stage, an open meeting room, a full caterer’s kitchen and a pull-down projection screen. There is also an outdoor covered space with an antique fire truck. Check out the new Hahira Train Depot and be a part of history! 5. The Patterson Located in downtown Valdosta, The Patterson is one of Valdosta’s most widely-used event spaces. With a relaxed and refined atmosphere, it offers multiple corporate meeting spaces, including two elegant ballrooms, a stunning parlor, stages for live entertainment and ample space for caterers. Equipped with caterer’s kitchens on each floor, the Ballroom and Loft spaces provide the perfect location for large corporate functions, business luncheons, conferences, and training sessions. For smaller meetings, the Parlor can accommodate groups of up to 50 people. For any of life's occasions, big or small, The Patterson is the perfect setting to make your next event a success.